Get ready as the legends that are Lynyrd Skynyrd come to perform an unforgettable night at BB&T Pavilion on Friday 30th August 2019! The Southern icons are back on the road for the summer, with their anthems that just keep on giving, these rockers bring all of their biggest hits to the stage. Songs such as Freebird, Lynyrd Skynyrd are more than ready to blow the crowd away for the FINAL TIME! Don't miss your last chance to catch them LIVE for the last time! Lynyrd Skynyrd hardly need an introduction as one of the biggest names in the history of music. 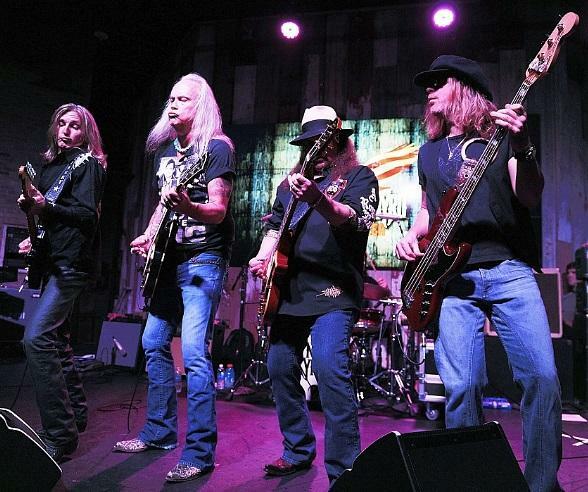 For 2019 these southern rockers bring their fiery performance for one last time as they wave goodbye and take to the road on their 'Last of the Street Survivors Farewell Tour' dates! Taking their incredible music round the world once again, Lynyrd Skynyrd are set to perform all of their greatest and most loved hit songs so fans are in for a real treat. Each and every performance from this legendary group always causes a ruckus and gives the feel of the best party around! The American rockers first formed Lynyrd Skynyrd all the way back in 1964 and became more than popular for the force they brought along with them, showcasing the Southern rock genre at the time, helping it into the mainstream. The group became known worldwide for their incredible releases that are still played all over the radio stations to this day, who could forget – "Sweet Home Alabama" or "Free Bird." It might of taken them a while but it's no wonder they were inducted into the Rock and Roll Hall of Fame in 2006 for their outstanding work in music. To this day, Lynyrd Skynyrd have sold over 28 million records in the US alone! They have continued to always push the boundaries whilst giving their fan base exactly what they want, especially when live in concert. As 2019 marks 55 years since their beginning, it's time to say goodbye and give them a year of touring that will forever stay in their memories and hearts and in yours! Come and give them the perfect send off – book your tickets for a once in a lifetime opportunity to see Lynyrd Skynyrd while you still can!